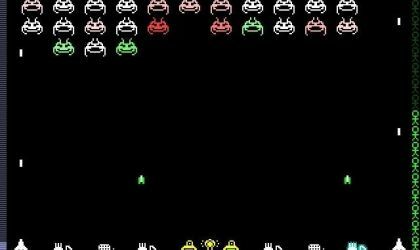 Take one half Space Invaders and another half “tower defense” game and you’ll get the idea. Throughout the many pages of Acid-Play game reviews, a few themes keep popping up. Aliens, guns and puzzles are a few of them. 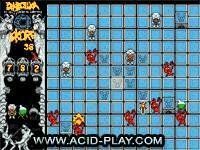 Moon Invaders is a title which incorporates all three of these elements – and does it with style. Featuring starkly bold graphics, the game has a unique appearance which is noticeable from the moment the game is first loaded. 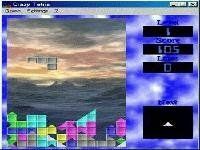 The title screen has no indication of what the game is about, it tells you nothing – not even where to click in order to begin the game. There is no text within the game, though it does come with an extensive external help file, which you will need to keep on hand through your first few plays. 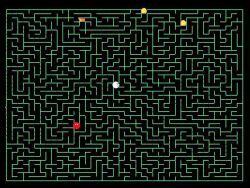 Shortly you will have a working knowledge of the simple elements of game play. Firstly, placing turrets on the ground will shoot upward and destroy the aliens. Placing a mine will rake in more cash for you. More cash (the blue bar on the left) means you can buy more turrets or upgrade the ones you have. The curve of the game is distinctly controlled by you and what you choose to put in the game and then how you choose to upgrade them. Developing a strategy that works for you is key to progressing in this game. Unfortunately, lack of a point system – either on- or offline removes this from being an absolutely complete game but it is excellent with all its current features. Enjoy! This game is... different. It takes a couple tries to get used to the different actions since there's no text anywhere, but after that, it provides pretty good gameplay. Up to a point. 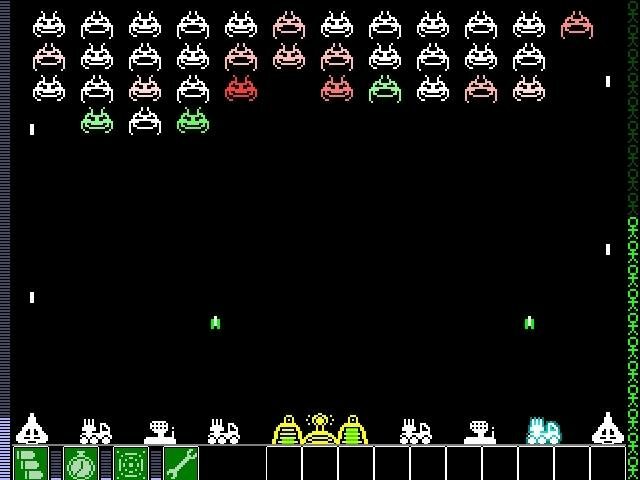 This is one of those games where there is no possible win, the invaders just come in larger and larger masses faster and faster until its impossible to keep up. Also annoying is the fact that you can only store up $160. Still, these aren't big flaws, just really annoying. Having fiddled around with it a while I found that there's pretty much one or two strategies that can really get you anywhere. Still, this game will give you a couple hours of entertainment for a relatively small download size. Definitely a well designed game.